These are some of the most treasured and heartfelt moments I get to be a part of. With living so FAR away from family, every moment when we are together counts! Investing in your children's legacy with grandparent portraits is priceless. You don't know when it will be the last time your children have with them, or when the next visit will be. Take the time to document them today. We do an activity together, we snuggle, we read stories, laugh, give kissess and enjoy all the fun that grandparents get to do when they visit! Poses include- grandparents and kids together, and individually with each grandparent, storytelling poses, and grandparents together. Session is for grandparents and children only. for additional family members, a family session would be best. 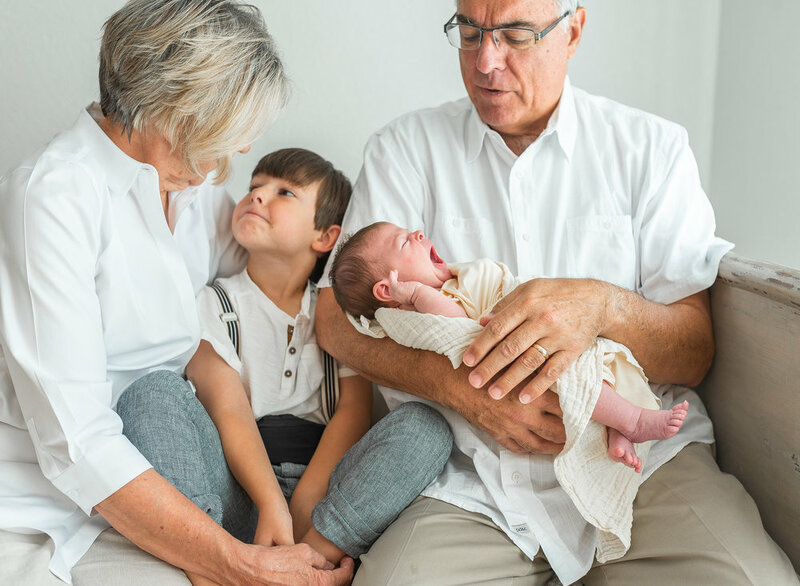 When you do a family session, grandparents are welcome at no additional charge.